Zillow announced on Thursday it is becoming a buyer and seller through its Instant Offers platform, beginning in Las Vegas and Phoenix with Premier Agents this spring. Arik Prawer, formerly chief integration officer at Invitation Homes, has been appointed chief business development officer to oversee the participation of Zillow on the platform. On Instant Offers, Zillow is going to be represented by a Premier agent in the area, and make improvements to properties, if needed, to swiftly turn around transactions. Zillow has chosen to enlist help in the process—a distinction from Opendoor and Offerpad—to “enable agents to earn commissions,” according to the announcement from the company. In a CNBC interview on Friday, CEO Spencer Rascoff discussed the motivation to participate, noting he expects to have held between 300 and 1,000 homes for sale by year-end. “We’re ready to be investors in our own marketplace, because what we know is that home sellers welcome a hassle-free experience,” explained Rascoff. “We think we have huge advantages because we have access to this huge audience of sellers [and] huge audience of buyers…that’s why we’re doing this. “We’ve done this in a very industry-friendly way, and that’s why the reaction so far in the industry has been welcoming,” Rascoff said. Instant Offers was introduced in May 2017 in Las Vegas and Orlando; with the announcement on Thursday, it has expanded to Phoenix. For its foray into Las Vegas and Phoenix, Zillow has partnered with Berkshire Hathaway HomeServices Arizona and Nevada Properties, Coldwell Banker Premier Realty and West USA Realty. 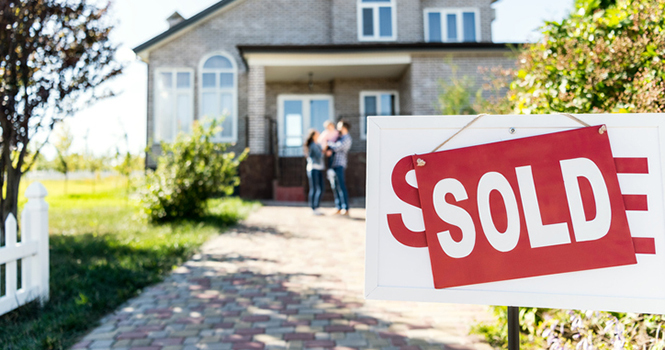 “Even in today’s hot market, many sellers are stressed and searching for a more seamless way to sell their homes,” said Jeremy Wacksman, chief marketing officer at Zillow, in a statement. “They want help, and while most prefer to sell their home on the open market with an agent, some value convenience and time over price. This expansion of Instant Offers, and Zillow’s entrance into the marketplace, will help us better serve both types of consumers, as well as provide an opportunity for Premier Agents to connect with sellers. “This is expected to be a vibrant line of business for us and for our partners in the real estate industry, while providing homeowners with more choices and information,” Wacksman said. With Instant Offers, homeowners enter information about their property, and, within two business days, get investor offers and a comparative market analysis (CMA) by a Premier Agent. For agents, the benefit is that they can earn listings of presumably ready-to-act sellers. “We have always felt, and will continue to maintain, that agents are a crucial part of the real estate transaction and our goal is to find ways to continue to integrate them in the transaction process, even as the process continues to grow and evolve,” said Zillow in a statement to RISMedia at the time. According to Menard, consumers are after better experiences in real estate—a desire Instant Offers recognizes. “I don’t believe that this is going to change the market,” Menard says. “What could happen is REALTORS® failing in delivering value to the consumer. Why would a consumer need to hire a REALTOR® if they didn’t need that experience? This article has been updated. Stay tuned to RISMedia for more developments. Suzanne De Vita is RISMedia’s online news editor. Email her your real estate news ideas at sdevita@rismedia.com. For the latest real estate news and trends, bookmark RISMedia.com.